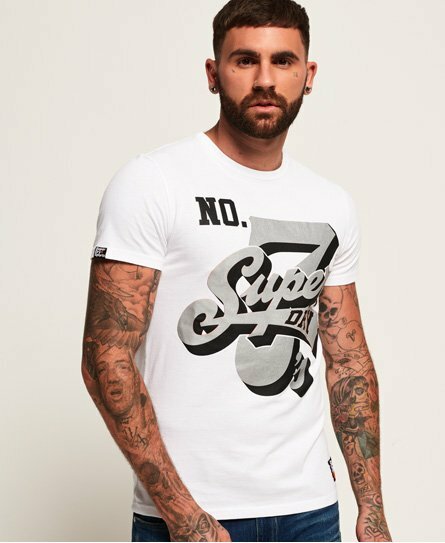 Superdry men’s Super7 t-shirt. A classically styled crew neck t-shirt featuring a metallic effect Superdry No.7 logo across the chest and a Superdry Sports logo badge above the hem. The Super7 t-shirt is finished with a logo tab on the sleeve.